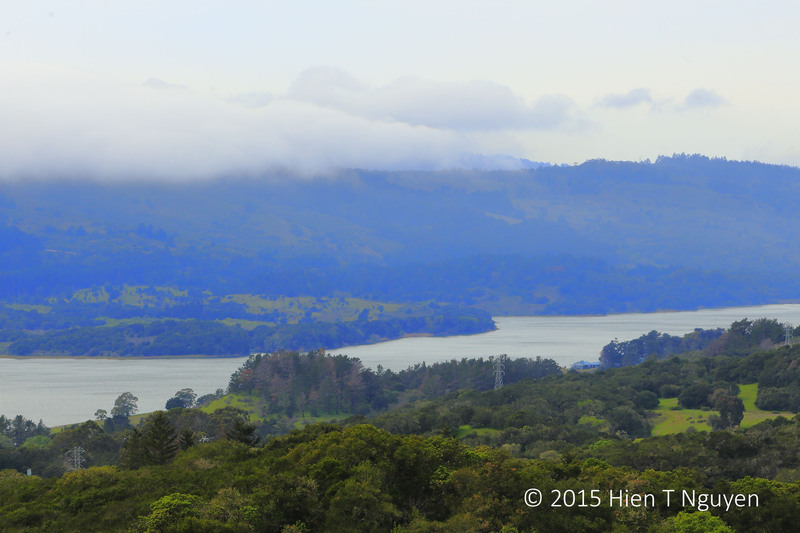 Two weeks ago, on our last day in the Bay Area, we drove up to a Vista Point on I-280. It provides a good view of the Upper Crystal Springs Reservoir which supplies water to San Francisco, San Mateo and the neighboring cities. Some of the water is provided by runoff from the local watershed, but most of it comes from snow melt in the Sierra Nevada mountains. The water is transported through giant pipelines from the Hetch Hetchy Reservoir in Yosemite National Park 167 miles away. 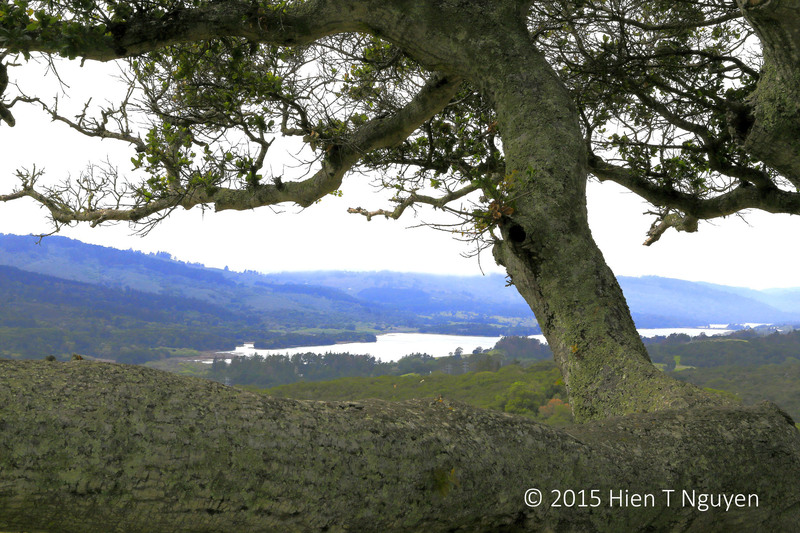 View of Upper Crystal Springs Reservoir from an oak at Vista Point on I-280. The trunk of the oak looked like a coiled dragon slithering down to the lake. San francisco is of course famous for fog, and we saw it moving down from the Santa Cruz mountains to the reservoir that day. Fog moving down the Santa Cruz mountains.